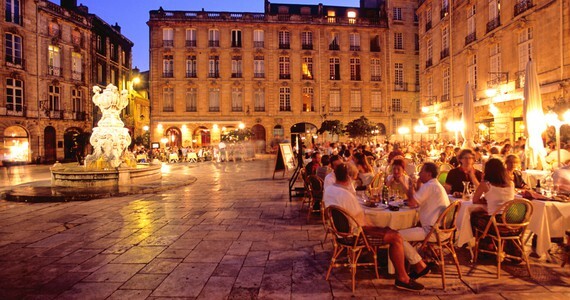 Elected Best European Destination in 2015, Bordeaux is a vibrant, dynamic and cosmopolitan city. Its cultural heritage is impressive, and the 18th Century architecture of its buildings is absolutely stunning. The city is actually a classified “City of Art and History”. 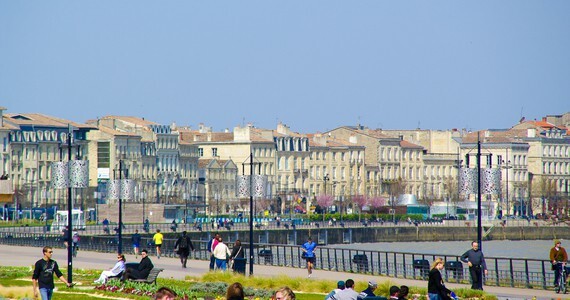 The rich history of Bordeaux is divided between France and England. Eleanor of Aquitaine, who had recently divorced the King of France, married Henry Plantagenet (King Henry II of England) in 1154 and thus, the Aquitaine region (including Bordeaux) became part of England, and remained that way for three centuries. At this time, the wine industry, trading mostly with England, played an important role in the development of the city. Thanks to the city’s close links with England, it became an increasingly wealthy area and benefitted from a huge amount of privileges, which afforded its incredibly rapid development. 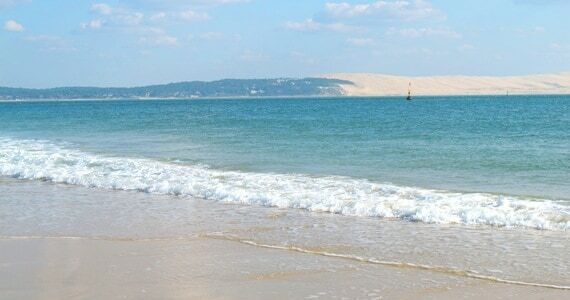 Bordeaux is bordered by the largest pine forest in Europe, la forêt des Landes, and is also just 45 minutes from Arcachon Bay and its beautiful seaside. The Arcachon market on the main square is an authentic place where fresh seafood is sold as well as oysters served with a glass of local white wine. In addition, the Basque Country, the Pyrenees and Spain are only two hours away. Outside the city, the premium wine regions spread out in almost all directions. 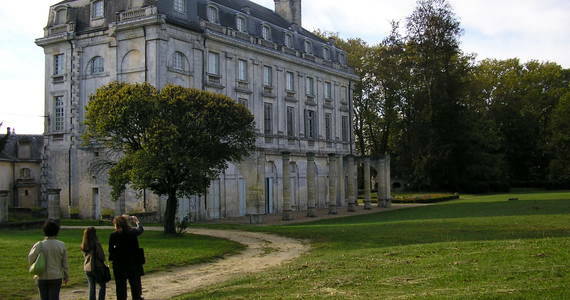 Heading north towards the estuary of the Gironde is the Médoc, home to the most famous Châteaux of Bordeaux including Margaux, Lafite, Latour and Mouton Rothschild. To the east, heading upstream along the Dordogne river is the beautiful medieval town of Saint-Emilion (also classified as a UNESCO world heritage site) and its vineyards, and the equally prestigious appellation of Pomerol. To the south of the city are the vineyards of Graves and beyond these, the rolling slopes of Sauternes. 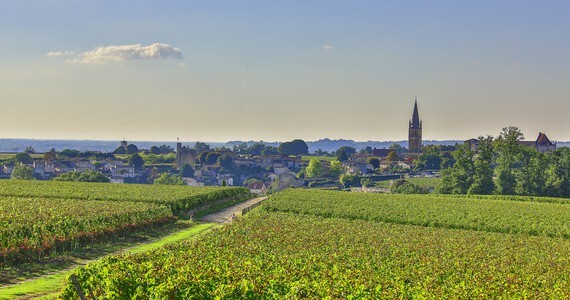 As well as producing world-famous wines, Saint-Emilion is actually a wonderful holiday destination in itself. It is a charming medieval village based in the middle of the Bordeaux wine region with breathtaking views across the surrounding vineyards, quaint cobbled side streets and authentic boutiques selling delicious local specialties. 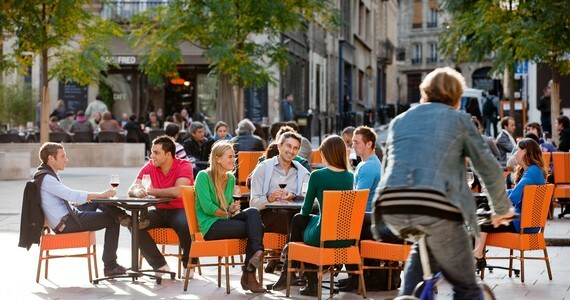 This lively little place also has a lot of nice restaurants and characteristic bistros serving tasty traditional dishes. The history of Saint-Emilion can be traced back to prehistoric times. The 13th Century King’s Tower, the monolithic church and its bell tower, the collegiate church and its cloister, the great wall, the Cordelier cloister, and the Cardinal Palace are just a few of the stunning monuments, classified as UNESCO World Heritage Sites, that can be found in the quaint village.